Nikon has announced the release of the Nikon D3500, a new entry-level Nikon DX-format DSLR camera. “Photography is fast becoming a second nature for many of us as we enjoy taking photos wherever we are, be it in a dinner party or during a holiday. Yet these photos are not just flashes of moments, they also represent memories that we want to preserve in stunning detail and impressive clarity, and this is where the Nikon D3500 comes in.” said James Murray, Managing Director, Nikon Australia. 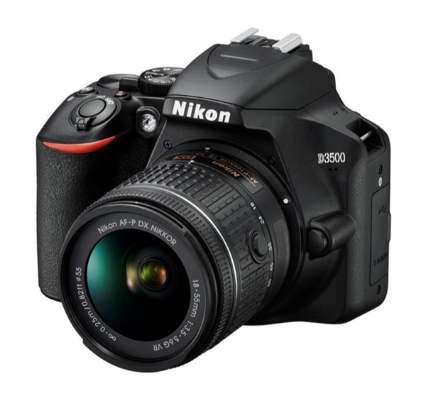 The D3500 has an effective pixel count of 24.2 megapixels and supports a standard range of ISO 100-25600. The D3500 can be connected to smart devices via Bluetooth using the SnapBridge app. The latest version of the app, SnapBridge 2.5 allows users to control remote capture of still images from their smart device, even over a Bluetooth connection. A single charge powers approximately 1,550 shots, according to Nikon. For more information, visit www.mynikonlife.com.au.